What Happens When a BHPH Dealer Hangs It Up? Calling it quits on anything can be difficult, especially when you’re considering shutting down a business you’ve kept running for more than 40 years. That was the case for Julian Codding, a former dealership owner and member of the National Alliance of Buy Here-Pay Here Dealers Hall of Fame. Instead of approaching the situation with a negative attitude, Codding decided to embrace the change. This information is not only useful for dealership owners, but it could also be utilized by potential buyers, as they can identify where to get the best deals. 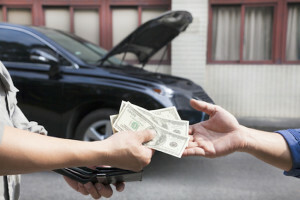 Before you head out to a Cincinnati Buy Here-Pay Here car lot, check out our guide below. 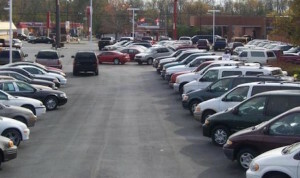 Of course, Codding also has a number of strategies for slowly ending a BHPH dealership, as he told AutoRemarketing.com. An alternative option is what Codding coined the “50-percent times two rule.” This basically suggests that during the business’s first six-months of their “wind-down process,” they should cut their sales volume by 50-percent. This would allow the owner to cut his operator overhead. If the owner truly wants to move on, he can just take his selection of vehicles and sell them all for one lump sum. Of course, you’ll also have two other issues to deal with: disgruntled (future) former employees and dealership service providers. Codding says to be prepared for angry employees, although he adds that their reactions are natural. When it comes to your dealers, expect it to be a pain. As a car buyer, the best course of action is to just visit the actual dealership. If you’re in the Cincinnati area, head over the McClusky today. You can be guaranteed that they won’t be shutting down their offices, and their fair financing terms means you could be driving off the lot in a car today! 0 comment(s) so far on What Happens When a BHPH Dealer Hangs It Up?